Use our Two Piece Lamp Box to pack extra tall lamps that don't fit a standard size box. 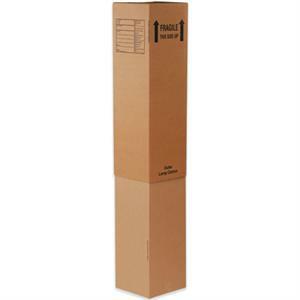 Two piece construction allows box to adjust to accept items with heights between 46" and 86". 4 - Wrap the lamp with bubble or other protective packaging. Place in lamp box (base down).